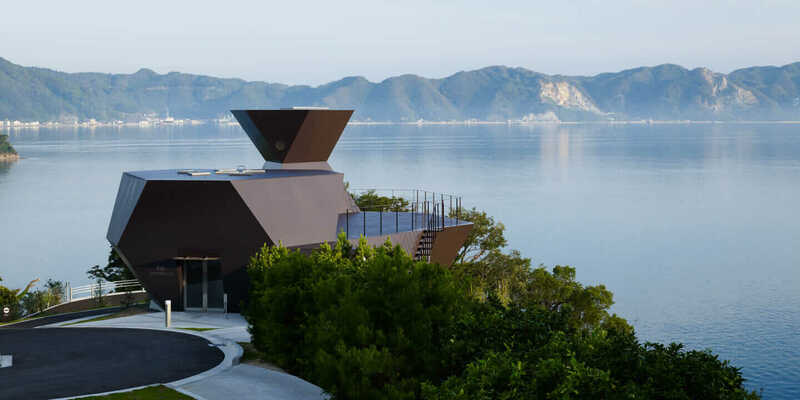 Steel Hut, Toyo Ito Museum of Architecture in Omishima, Japan. Courtesy Daici Ano. 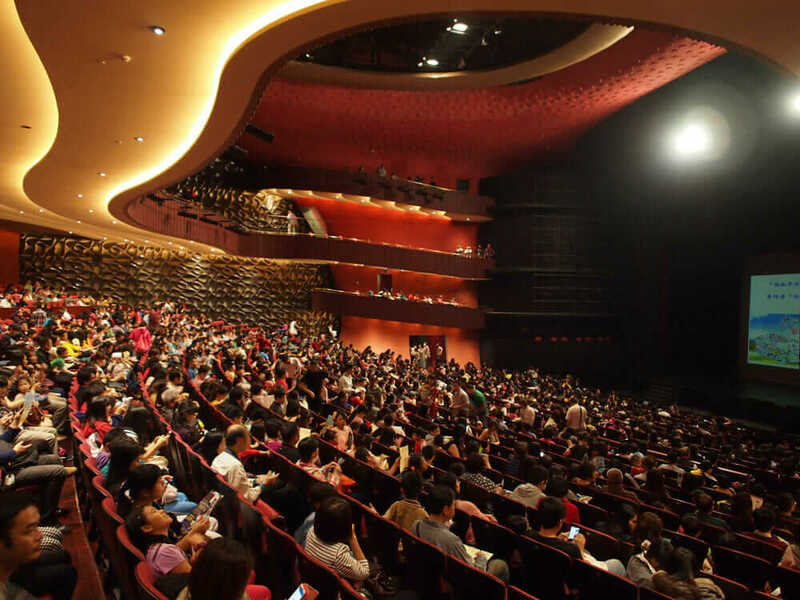 National Taichung Theater in Taichung City, Taiwan. Courtesy Toyo Ito & Associates. 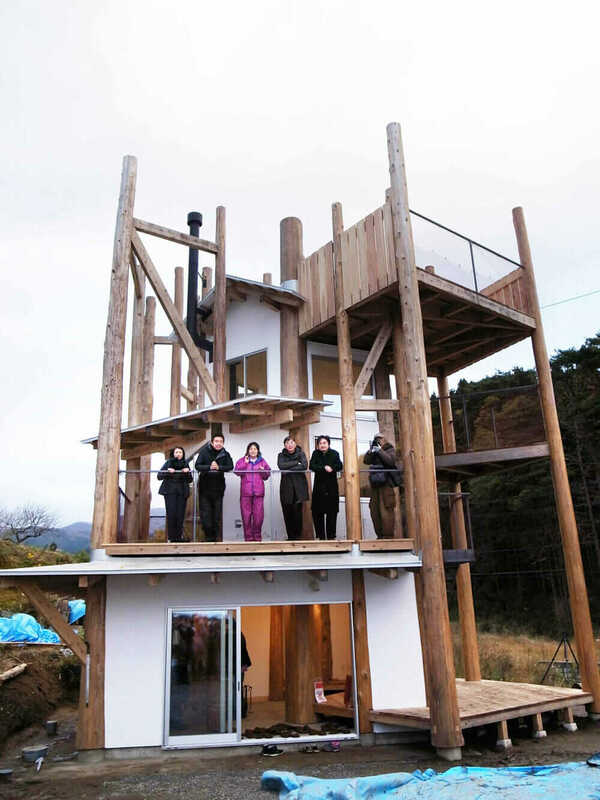 Toyo Ito (middle right, in white glasses) and fellow architects at a Home-for-All building in Rikuzentakata, Japan. 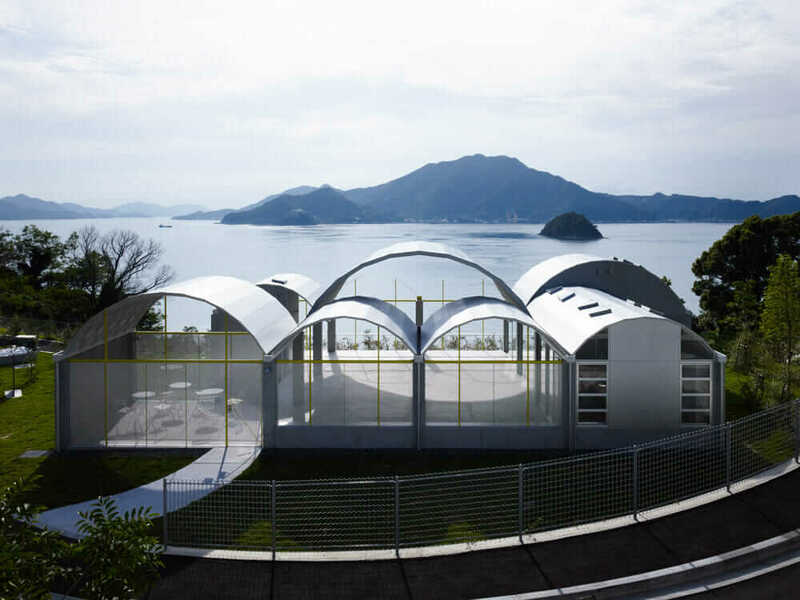 Courtesy Toyo Ito & Associates. 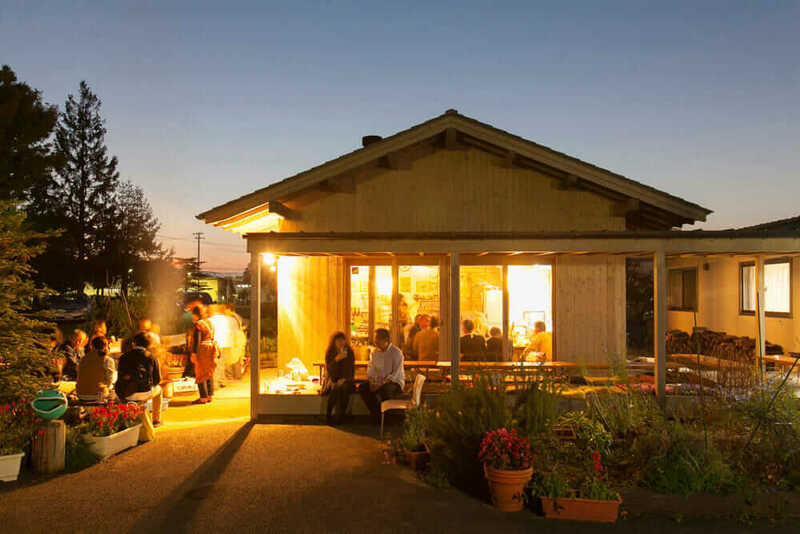 Home-for-All by Kumamoto Artpolis Tohoku Support Group in Miyagino-ku, Sendai, Japan. Courtesy Ito Toru.